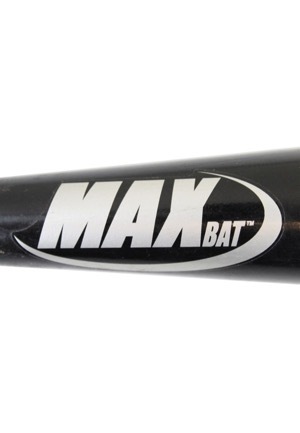 Manufacturer: MAX Bat Model Number: 174 Labeling Period: 2010 Length: 33.5 inches Weight: 32.6 ounces Wood: Maple Finish: Black. 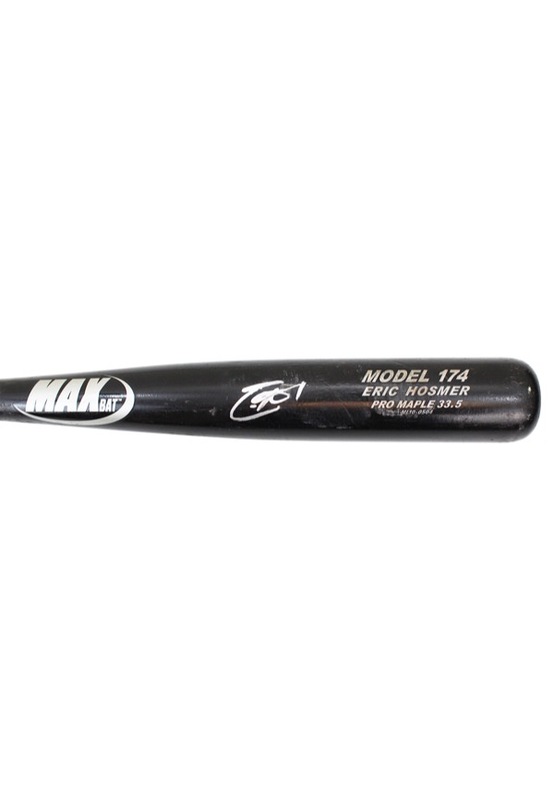 This bat is uncracked and shows evidence of outstanding use. 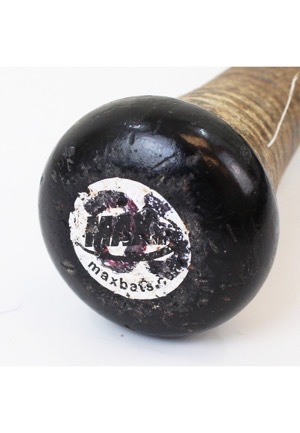 Many ball marks and ball stitch impressions are visible on all sides of the barrel. 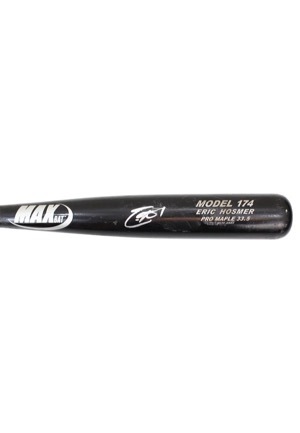 The handle has been taped in a spiral criss cross pattern to enhance the grip. 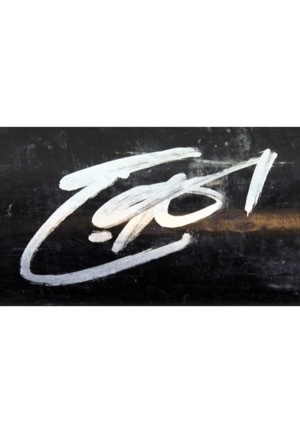 The player number “35” is written on the knob in black marker. 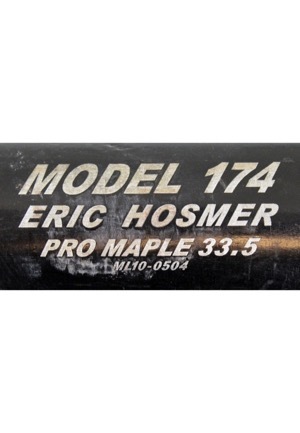 Hosmer signed the front barrel in silver marker and in our opinion the signature rates a strong 8. Accompanied by a LOA from JSA and a PSA/DNA LOA grading the bat a GU 9.